LIVE WEBINAR SERIES: Fluids, Electrolytes, and Acid-Base 4 Part Series, May 1, 8, 14, and 23. Quick reference card for pediatric NG tube placement and verification. Clinicians in US and Canada: request a complimentary pocket size card while supplies last. Instruction video on Pediatric NG tube placement and verification in English and in Spanish. Enteral Nutrition Handbook Second Edition: Update to the popular 2010 handbook. Includes new chapters on preparing, labeling and dispensing EN; formulas for adults and pediatrics; and latest ASPEN safe practices. Guidebook on Enteral Medication Administration. Only US book specially targeting medication delivery via feeding tubes. Covers 169 drug monographs. The Practitioner's Guide to Nutrition-Focused Physical Exam of Infants, Children, and Adolescents. Photos and illustrations of guided exam. Covers special populations. Includes lecture of the month and other learning opportunities available 24/7. Explore a variety of topics, some of which offer free CE credits. Read select articles from JPEN and NCP and earn valuable CE credits. Free to members; nonmembers may access for a nominal fee. ASPEN has developed several in depth training series on EN, PN, and Fluids and Electrolytes. Earn CE credit for completion of each series. ASPEN’s Clinical Nutrition Webinar Series features distinguished faculty presenting on hot topics in nutrition support and clinical nutrition. Recordings from the live events are available. If you missed the cutting-edge presentations from ASPEN’s annual conference you can purchase the recordings for individual sessions or the entire conference. Podcasts and training videos provide information in a quick and easy to access manner. The NSFC provides a comprehensive overview of nutrition support therapy. Recordings form the most recent NSFC are available. Malnutrition Awareness Week™, helps bring awareness of this often poorly diagnosed condition through educational programming. Event recordings are available. These documents are designed to assist practitioners in providing safe, efficacious nutrition care to patients. ASPEN’s best program for assessing your personal knowledge base in nutrition support and clinical nutrition. Also, a great certification study resource. “SmartPN” provides healthcare professionals with educational tools on the appropriate use of parenteral nutrition (PN) therapy. Coming Soon! Make sure to check back often as ASPEN develops new online course offerings. 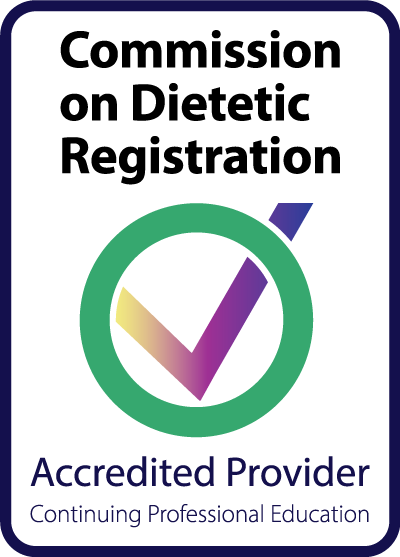 ASPEN, Provider AM005, is a Continuing Professional Education (CPE) Accredited Provider with the Commission on Dietetic Registration (CDR). 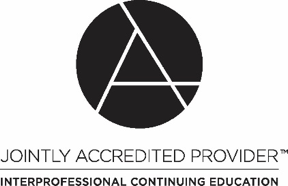 ASPEN's continuing education programs also offer AMA PRA Category 1™ Credits.